Transport Minister, Danail Papazov, has already ordered a probe in the alleged use of FinSpy in Bulgaria. The Bulgarian government has been accused of having a functional server using the spy software FinSpy, detected in the now-closed Ministry of State Administration. At the beginning of the summer, a team of researchers from Citizen Lab of the University of Toronto announced that the spy program has a control server in Bulgaria and 35 other countries, but did not give details about the exact hardware registration. The researchers say the presence of such server does not automatically imply that the spying software is used by a particular government, as it was possible that these could be proxy servers, concealing the real location. 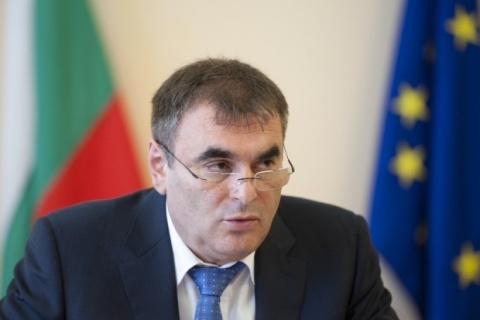 The server intercepted in Bulgaria is using the IP address of the Ministry of State Administration, which was closed by the government of the Citizens for European Development of Bulgaria party, GERB, and Prime Minister, Boyko Borisov, after they took office in 2009. According to the Canadian experts, despite the closure, the server is still in use, most likely in some other ministry, as it had been active in May. Former Minister of State Administration, Nikolay Vasilev, told Capital daily that neither he nor anyone from his team knew about such software. He explained he never before heard of FinSpy; did not know it existed, and never allowed its use. Capital reminds FinSpy is made by the British security company Gamma Group. The program can see what the user of a computer on which it has been installed is doing; record Skype or chat conversations; follow in real time social network activities; remotely turn on the web camera or the microphone or record each keyboard stroke. The spy software is undetectable by most anti-virus programs, and users have no idea they have been tracked. The computer can be infected through a very traditional method – email with attached file with the code of the software, which appears to be a regular program. FinSpy are notorious by selling the product to governments and State institutions across the globe. The name of the company first emerged in public in March 2011 when people demonstrating in Egypt against the regime of Hosni Mubarak stormed into the State Security Agency and found a sealed contract for the use of the software for a fee of USD 380 000. He stresses the damage could be great, but experts have already assured him that it was impossible to have such program installed on a government computer. "The servers and all paraphernalia are monitored round the clock with very few people having access, thus this could be very difficult to actually realize. Such activities are followed closely. The price for such program cannot be paid without a public tender," Nikolay Nedyalkov, Chairman of the Association for Information Security, has commented before Dnevnik daily.